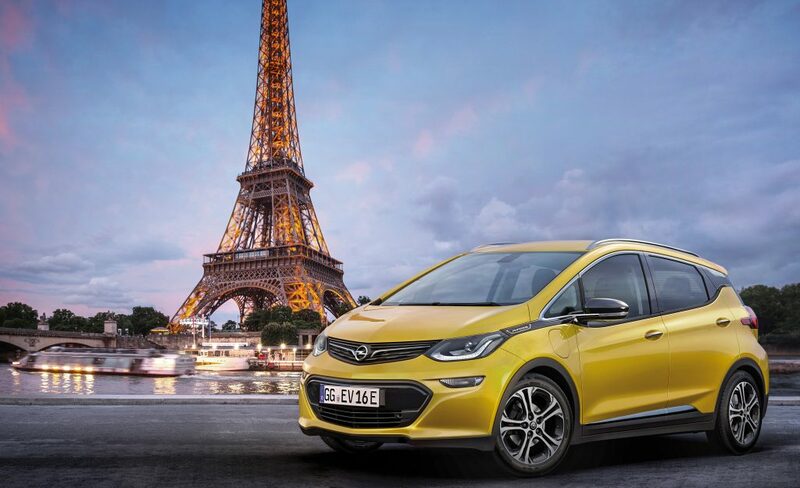 The Chevy Bolt EV’s sister car, the Opel Ampera-e, is headed to Norway in June 2017. Due to a gradual ramp-up of production of the Bolt, GM has decided to wait 6 months before sending it’s sibling overseas. GM chose Norway because it has the most advanced EV infrastructure of any country in Europe, and the local government shows the greatest desire to have their streets filled with electric vehicles. Currently, pure electric vehicle sales in Norway are at almost 15% of new vehicle sales! After Norway, later in 2017, comes the Netherlands, France, and finally, Germany – other left-hand-drive European countries will have to wait until late 2017 or during 2018 as production increases. Pricing for the Ampera-E in Norway is 299,900 kr with delivery included. That translates to approximately 33,000 euros, and after a 19-25% VAT, puts the price close to on par with the US MSRP of $37,495. With the same drivetrain as the Bolt, the Ampera-e is expected to have more than 500 km of EV range on the NEDC test cycle. The Opel Ampera-e is basically a re-badged GM Bolt with different front and rear bumper covers. The drivetrain and interior is untouched as far as we can tell, and it will only be available in left-hand-drive configurations. This will allow GM to build it without much trouble on the same assembly lines as the Bolt EV at the company’s Orion, Michigan assembly plant. The availability of the Ampera-e will be limited due to a slow ramp-up of production at the Orion plant in Michigan. Therefore, we made a decision to go with a staggered introduction plan going first with the countries that already have some form of EV infrastructure in place or countries that have shown ambition to become EV leaders. This has created the pecking order Norway, Germany, Netherlands, France and Switzerland. However, we are flexible here and will be able to add countries or change the order at short notice if somebody becomes so attractive because of changed policies for example. Our goal is to have enough capacity by 2018 so that we can offer decent volumes in most European countries. Our current plan has the Ampera-e being sold by e‑agents selected from the Opel dealer network in all markets, except Norway where it will be sold throughout the entire Opel dealer network as the Ampera-e will soon be Opel’s bestseller there. I’m driving Opel Ampera, and i am from Bulgaria. The car is very nice and fun to drive. It will be great if GM provide some variant to their customers to return their old models and to take the new one.Here i can’t do this unfortunately.